They're our friend, our buddy, our partner, our family. Let's give them a comfortable and attractive place to rest their heads. We've found a plethora of dog beds for your corner. And these beds not only provide comfort for your pet, but also are aesthetically appealing and can fit in whatever decor you have. We've found beds that are best sellers, beds that are therapeutic and beds that are luxurious. But you will no doubt find one that suits you and your friend's fancy. Why let your pets sleep in uncomfortable conditions that can pose a risk to their health when you can buy them a home? Or why let your dog share the couch with you when you can get them one that is uniquely designed for their comfort? Improve the health of your dog with specially designed luxurious beds that offer them maximum comfort. For example, you can get an orthopedic dog bed with memory foam that helps with pressure points, muscle and joint pain, arthritis, and blood circulation for an aged dog to see it transform into an agile playful dog. These beds are designed to be easily cleaned and maintained, their components can be easily disassembled, machine-washed, and assembled! You don’t have to worry about cleaning your pet beds. Dog beds are mostly equipped with bolsters to provide a headrest and added comfort for your pet, and also gives them a sense of safety. The extra-large dog beds are designed to provide more space for large or medium-sized dogs, or a couple of smaller pets, while the luxurious dog beds are designed mainly to offer the maximum luxury and comfort to your pet. The popular material for orthopedic dog beds is the memory foam. It is more affordable for a layered foam structure with the memory bed on the top while a sturdier, denser foam is placed in the bottom. The thicker the mattress, the more comfortable the bed (also heavily dependent on the material). You should get a bed that is comfortably thick enough for your dog so that it can offer the right amount of support needed. You should not purchase a dog bed that will take up your space, so ensure you buy an orthopedic that is not too bigger than what your dog needs, and at the same time is big enough for your pet. It is strongly advisable to get a water-resistant orthopedic bed, as this can give you a sufficient time to wipe up little messes or drool. If your dog is getting older, a waterproof cover may be a good idea. 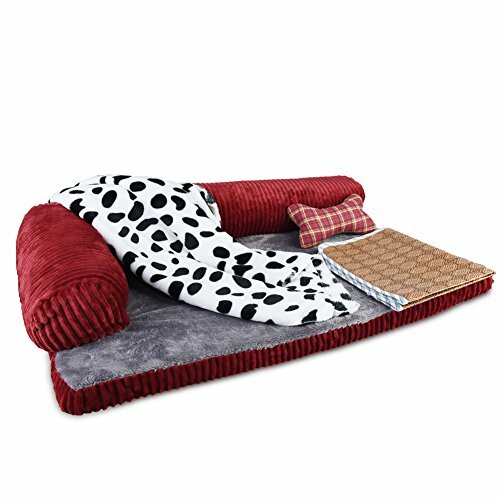 This orthopedic dog bed boasts of premium product components. It is designed to reduce joint pain and improve health, energy, mobility, and superior overall comfort to your dogs with its SOLID 4-inch memory foam. The bottom is non-skid, providing rigidity even on tiles and hardwood finishes. 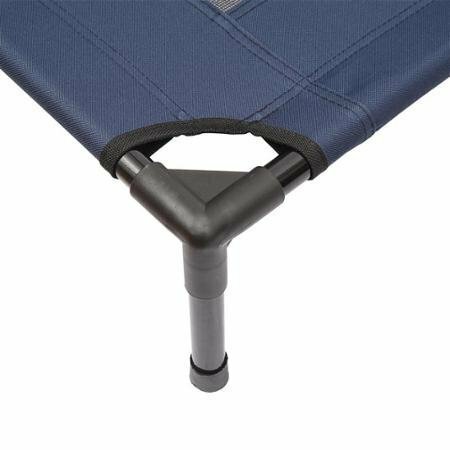 Your pets will enjoy the optimal support and comfort of the base and bolsters. The cover material is water resistant and tear resistant, ensuring the bed stays around for a longer period of time. To ease maintenance, the cover can be removed and machine-washed and returned back to its place. The assembly is tool-free and easy. To cap it all, the Petfusion ultimate orthopedic dog bed blends in seamlessly with your décor, and comes with a 12-month warranty on any part that is broken due to manufacturer defect. 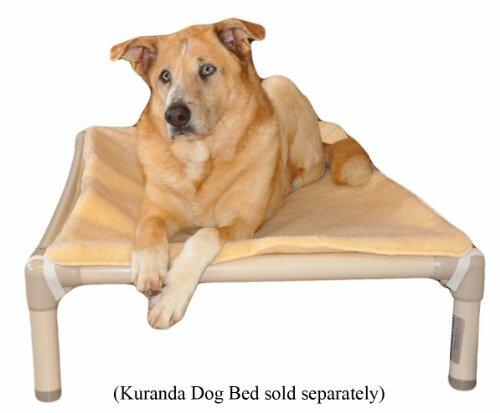 If one thing is certain; it is that this orthopedic bed promotes the endless support and joint relief your dog needs. The product is made with high-quality human-grade orthopedic form providing deep cushioning and pressure relief on joints. The walls padded with cotton will instantly contour to the neck and head for optimum comfort. There is a non-slip rubber backing to provide rigidity and prevent the bed from sliding on hardwood floors and tile. Remove the cover, gently wash with the machine, air dry, that is all it takes to clean the cover material, which is easy to vacuum, spot clean or wipe off. Sleek and luxurious quilted design to improve any home décor. It might interest you to know that this product amassed a 4.6 out of 5 stars rating from over 3000 customers on Amazon. 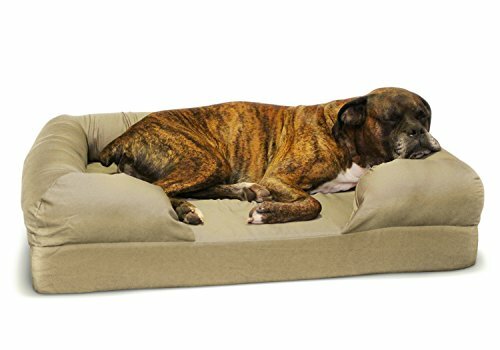 This bed consists of a 4” base with 2” of premium grade, high-density orthopedic memory foam to provide the stress-relieving comfort your dog needs.The bed provides contouring support for older dogs with arthritis pain, muscle stiffness, hip dysplasia, arthritis, and aching joints.The bed is covered with a waterproof protective inner and durable hypoallergenic oxford fabric which protects it from accidents and incontinent issues. 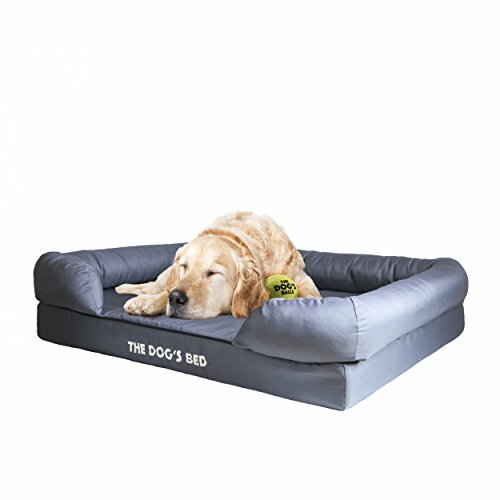 At a large 40 x 25 x 6 inches dimension, The Dog’s Bed is suitable for all dogs, at any age, particularly those who love to stretch out and laze about offering them a comfortable and luxurious sleeping bed. The waterproof cover and the inner can be washed with a machine on a gentle cycle. If two layers can offer enough comfort to your dog, then four layers is a luxury! Sealy utilizes their human mattresses production knowledge and technology to deliver the most technologically advanced and luxuriously comfortable bed to your dog.The quad-layer technology combines the therapeutic effect of the popular memory foam with the cooling energy gel that regulates the body temperature by dissipating heat away from the sleeping surface to keep the pressure points comfortable and cool. 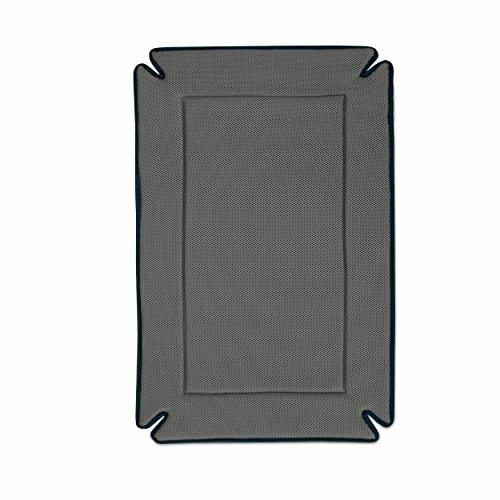 A specially designed orthopedic foam provides support for the joints and bones for a restful sleep, and a firm high-density charcoal-infused base disperses and eliminates any pressure from above or below, and keeps the bed smelling fresh by absorbing odors.A water-resistant liner protects the foam core and non-skid bottom keeps the bed in space! The cover can be easily zipped off and machine-washed for simple care, proper maintenance, and guaranteed durability. 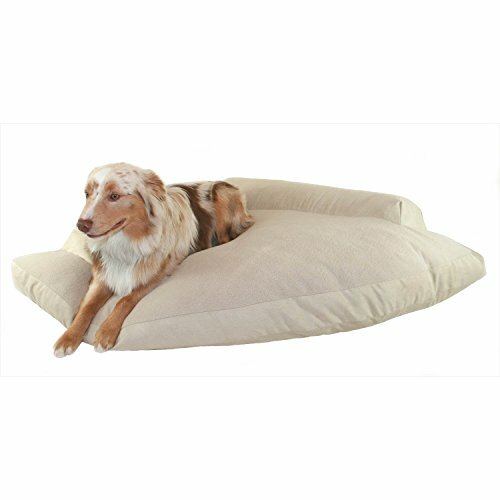 This 5-inch thick orthopedic bed is one of the most comfortable canine beds available today. The two-layered bed consists of a 2-inch orthopedic gel-enhanced memory foam top layer and high-density support foam that helps relieve arthritis or joint pain. The USA-made product boasts of a 100% waterproof encasement that protects the core foam from accidents and incontinence. The bed features a LiveSmart technology – the fabrics are produced exclusively with low denier performance yarns that are encapsulated with a stain and moisture resistant finish. This technology makes the bed moisture repellent, stain resistant, stand the test of time in the face of heavy-duty wear.The fabric material forms barrier protection to keep the fabric, accidents simply bead up on the surface instead of penetrating the fabric. The bed cover is removable and machine-washable! If you have a large dog or a couple of smaller dogs, you can be faced with a big challenge of picking the right, ideal bed for your pets. Finding a bed that is big enough for their size and that won’t collapse under their weight can be a really demanding job to do, given that you will have to look through several product catalogs, read endless dog bed descriptions, and check several product dimensions. Even if you don’t mind investing your time finding the best for your pet, the quality of the product and that of the manufacturer cannot be overlooked. Afterall what is “good” if it cannot last. We have done the hard the job for you; the extra-large beds. Extra-large dog beds offer more space to your dogs without compromising on convenience and comfort. These beds usually come in the 35 by 23 inches dimension to accommodate the bigger-sized dogs or a couple of smaller dogs. When purchasing a dog bed, make sure that the cover is made of waterproof material, as this will help you with cleaning and proper maintenance. Always check whether the bottom part has an antiskid mechanism for stability and rigidity (we don’t need to tell you why). Also, the cover must be easily removable and machine-washable. Beds with bolster gives your pets added comfort by offering them a place to head their rest, so make sure you look out for that too. Moreover, ensure the bed is produced durable materials that can stand the test of time (and the test of your pets too). All the beds featured in these category matches the conditions listed above, so ensure you read their features and pick the perfect one for your best friends. K&H Pet Products Original Pet Cot Elevated Pet Bed Extra X-Large Chocolate/Mesh 32"x50" x 9"
The Furhaven Faux Fleece and Chenille sofa dog bed offer your pet the flexibility to cuddle in a variety of positions. 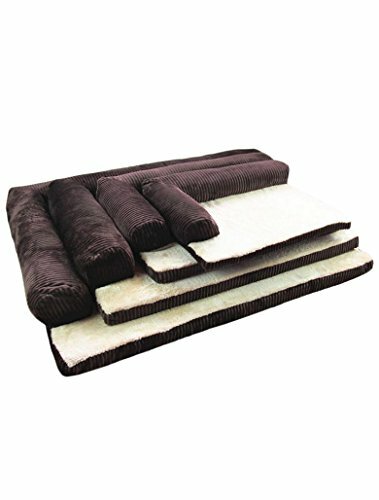 The three-bolster design provides a plenty of headrest space for high-loft comfort, and the sleep surface will definitely make your dog more comfortable.Equipped with a medical-grade memory foam that relieves painful muscles and joints, the industry standard orthopedic foam that supports joints and alleviates painful pressure points, and a cooling gel foam that reduces body temperature of sleep surface by 1-2 degrees! A unique feature of the FurHaven Pet Dog bed worthy of mention is the deep, convolute, ‘egg crate’ foam core design, which is reputed to be very effective at soothing pressure points and providing the right amount of support for joints so your pet can enjoy a deeper, more restorative sleep.The sofa bed cover can be easily removed for washing by hand or with a gentle cycle of a washing machine. The K&H Pet Cot is an elevated largely sized cooling bed for your dogs. the raised bed design elevates pets to keep them off the ground and cool, with a breathable mesh center that not only allows warm body heat to escape from beneath the pet, but also repels mildew, mold, odors, bacteria, and moisture.This dog cot is made of tough waterproof 600-denier fabric that helps keep your dog bed environmental by preventing the material from getting impregnated by accidents and incontinence. the bed is specially designed with high strength and extended durability in mind, with a sturdy frame that can withhold over 150 pounds. The no-tooling assembling makes setting the K&H Pet cot a breeze and makes the product good for both indoor and outdoor use. Since assembling and disassembling doesn’t require much effort, this product can be packed and taken anywhere. Spoil your dog with the softness and comfort of the TopLeader Pet Dog bed. 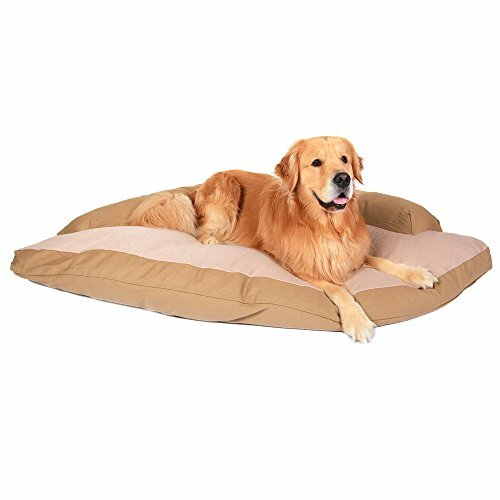 This product features a cushioned plush bolster and raised bolster sides that keeps your pet as safe and comfortable as possible.The sleeping surface is made of plush fabric and filled with PP cotton to provide a warm and soft sleeping and relaxation spot for your dog. At a 47 x 35 x 10 inches dimension, this extra-large bed can create a cozy home for a couple of smaller pets, as well as conveniently accommodate a medium or large dog breed, up to 99lbs. The water-resistant and dirt-resistant bottom of the bed is made of dotted antiskid design that keeps the bed in place even on tiles or hardwood floors. The cover can be easily removed routine cleaning, thanks to an invisible well-hidden zipper design. The bed cover is durable and machine-washable. 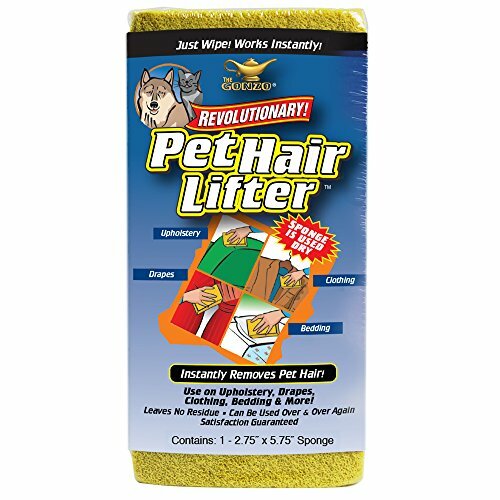 Your pets will thank you for this. 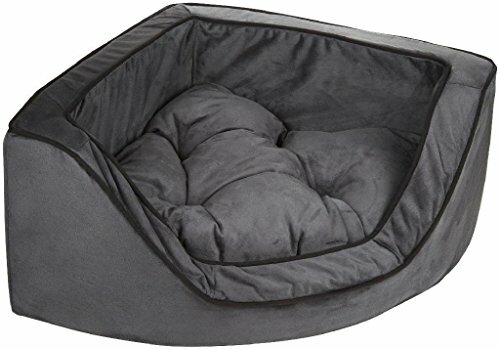 If you want an artificial cave home that covers your pet totally, this round snuggery burrow pet bed is the perfect buy, featuring a soft, malleable hood that can be used exclusively as a blanket, or configured into a cave-like burrowing space. There is a gentle Sherpa top and smooth suedine gusset that provides insanely cozy surfaces for your pet to snuggle up against. The Furhaven Pet Dog Bed also features an orthopedic foam base with the unique deep, convoluted ‘egg crate’ design that provides your pet with the perfect comfort for their joint and muscle, and helping them with blood circulation that affords them deeper, more restorative sleep. The design team over at manufacturing company knew the problems this burrow design could pose, so they made the cleaning super easy; You simply unzip the bed cover, remove the plastic loop and foam, then launder with a washing machine. The bed is available in various styles and colors to match your home décor. This king bed can house a pet up to 100lbs or multiple smaller pets conveniently. the bed is housed in a solid exterior fabric, and the interior is made of a comfortable premium imitation lambswool material. 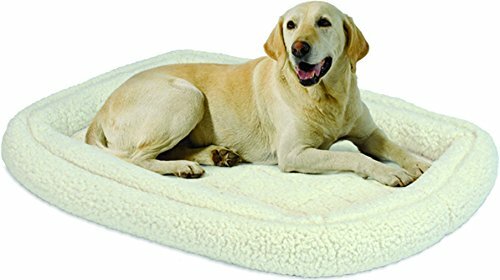 It features a solid oval foam form matches your pets natural rest position, with a convoluted ortho foam base to disperse the pressure and maximize their comfort. Go ahead! Spoil your pets with a comfortable and extremely luxurious bed; they simply deserve it. Luxurious dog beds are made with premium fabric and quality craftsmanship, with comfort and style in mind. 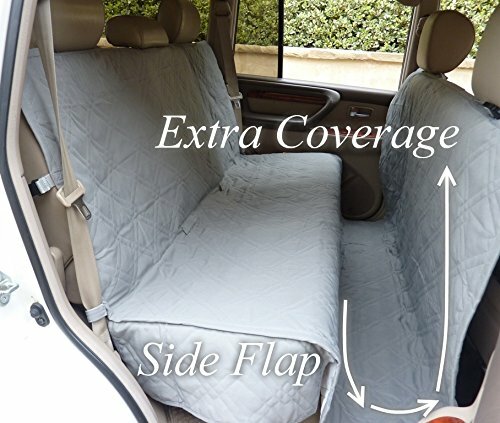 the sleeping surface is mostly made of plush, soft foam that provides your pets with incredible comfort, and covered in premium, high quality waterproof and, sometimes, dirt and moisture resistant materials. Luxurious dog beds can either be elevated off the floor to make your pets draft free or made with high-density foam that evenly disperses their weights and provides them with the right amount of support and warmth. Apart from the comfort and luxury these beds offer your pets, they are designed to match and enhance most home decors. It is advisable to check if the luxurious can support the weight of your pets before purchasing. 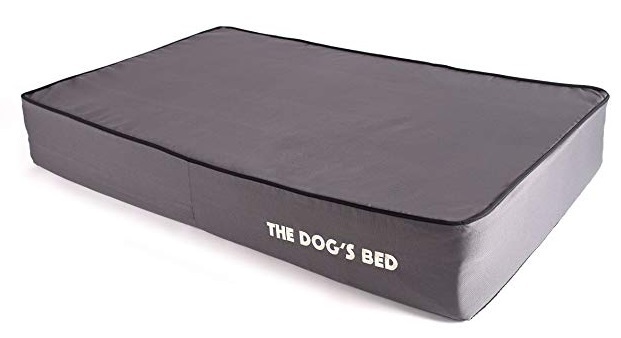 Also, if your dog is the type that loves to play or chew their beds, the luxurious beds may not be suitable for such dogs, unless you plan to change their beds all the time.However, if your dog is the gently, moderately sized one, go ahead and get them one of these beds. Your pet will love and appreciate it. This round shaped sofa dog bed is long lasting, soft, and shapeable. The luxurious plush pad bed has a soft, shaggy texture that is incredibly comfortable. 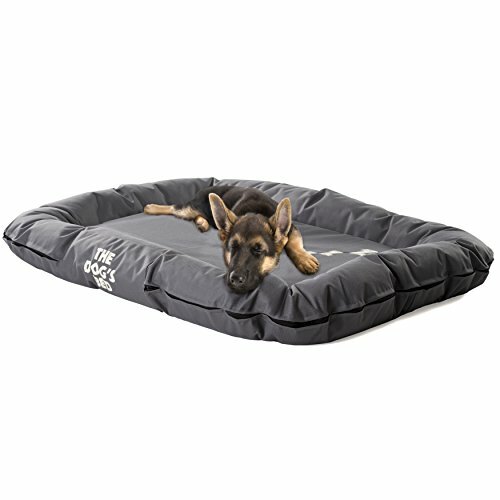 The bed features a high-density comfy foam core retains its shape, plush texture and springiness year after year.The sleep surface is a luxurious Faux Fur which your pets will fall in love with, while the bottom is made of premium high-density foam provides maximum support for comfort. The bed is lined with a waterproof barrier that defends against pet accidents and incontinence. The Luxurious bed cover can be removed and washed in a washing machine, which makes the bed very easy to care for. This luxurious pet sofa bed features a traditional design with a brass tone nailhead accent. The bed is fully upholstered in high-quality brown faux-leather with furniture-grade construction that will stand the test time.This pet bed is elevated off the floor by turned 2” wood legs to keep your pet draft free. The bed can accommodate pets weighing up to 75 lbs. and is perfect for dogs who love to lean or snuggle when sleeping. There is also a storage pocket for toys and bones. 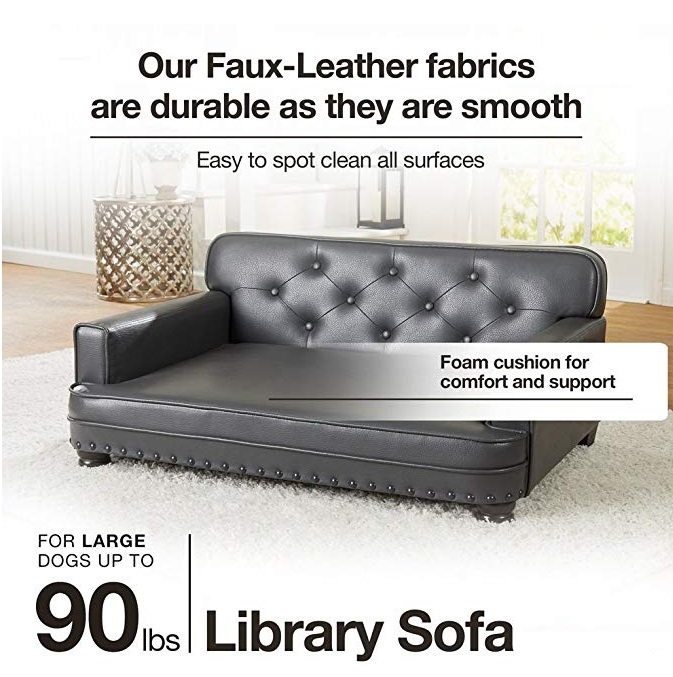 The unique classic design matches any home décor and enhances the look of your home while providing your pets the luxury and comfort of thick plush foam covered with a rich, soft leather surface. The bed can be easily wiped clean. Please, note that this bed is best suited for indoor use only! A topnotch designer bed that offers the maximum luxury to your pets. The luxurious bed is big, plush, soft and incredibly comfortable, all thanks to the unparalleled soft fabrics. The Bessie and Barnie Signature pet bed is designed with a 360-degree zipper making it easy to assemble and clean. The filling is made of eco-friendly polyfill. This product has a waterproof pillow liner that can be sufficiently cleaned with a wet cloth, and covered with machine-washable and dryer friendly reversible material that can be used in two different sides. It is American designed to be durable and long lasting by artisans in the United States. 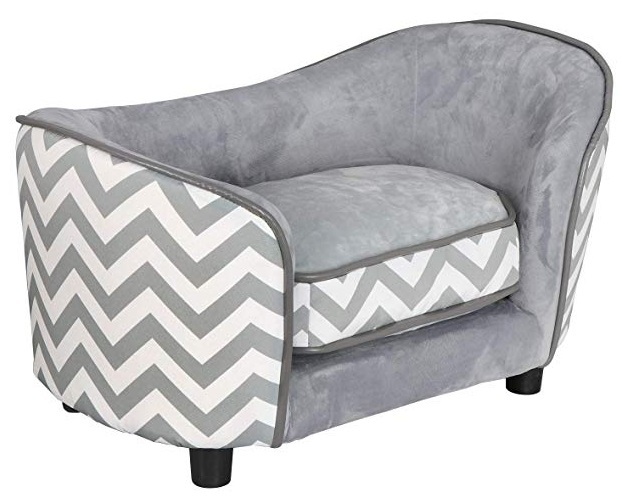 Introduce your dog to a life of comfort and luxury with this pet sofa. 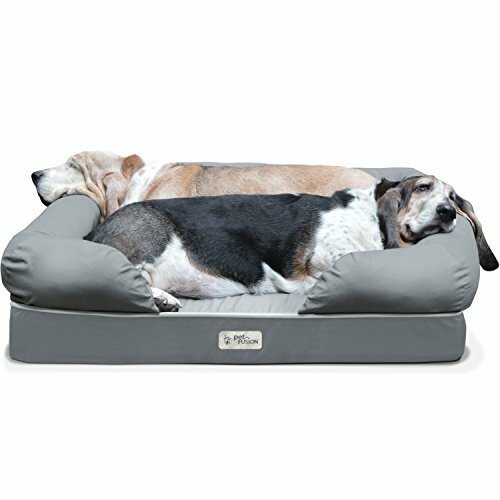 The bed is filled with a luxurious high-loft polyester fill that can make your dogs agile and lazy at the same time.It features a soft microsuede fabric cover that can be easily removed via a zipper for easy cleaning, and removable, poly-filled bolsters and pillow for added comfort and to help your pets relax better. The bottom is made with an anti-skid material that ensures the bed stays in place even when your pets are playing happily on it. The bed is available in several colors and fabrics. It might interest you to know that this product has a 4 out of 5-star rating on Amazon. The elevated pet sofa bed is designed with comfort in mind. 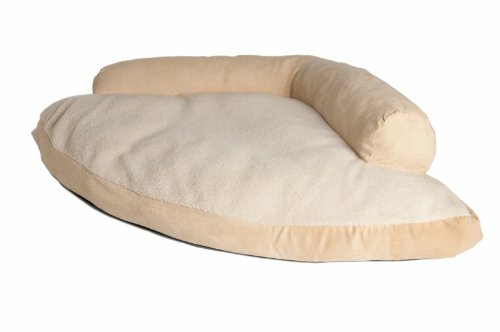 Equipped with a bolster for your pet to rest their head on and keeps them safe; a 4-inch foam cushion that supports your pet’s weight and provides superior comfort; a 2-inch legs that lifts the bed off the floor, easy to jump, and keeping your pet draft free; a vibration absorbing foot pads for stability, and a removable and easy-to-clean super-soft cover that will surely attract your pets attention and provide a premium experience to them. A full loft cushion that ensures your pet has a cozy, draft-free winter sleeping quarters that engulfs them in complete comfort and warmth. This bed is perfect for dogs that love to lean or curl, and can fit pets up to 12lbs. The unique design can enhance the décor of your house, or even try to steal the spotlight. The sleeping condition and relaxation pattern of our dogs can have a very big impact on their health and lifestyle. The beds mentioned above can help improve the health of your dogs helping them enjoy deeper, and relaxing sleep. You should know the style and taste of your pets before buying them a bed, it wouldn’t be too appropriate to buy a flat elevated bed for a bed that loves to cuddle up in a cozy environment; a cave-like burrow bed is more suitable in that situation. The orthopedic beds with memory foam core are good for stress/pain relief and can help your pets with their pressure points and proper bed circulation. Don’t be too surprised when your aged dog starts jumping around like a small playful puppy when you get it one of these beds. 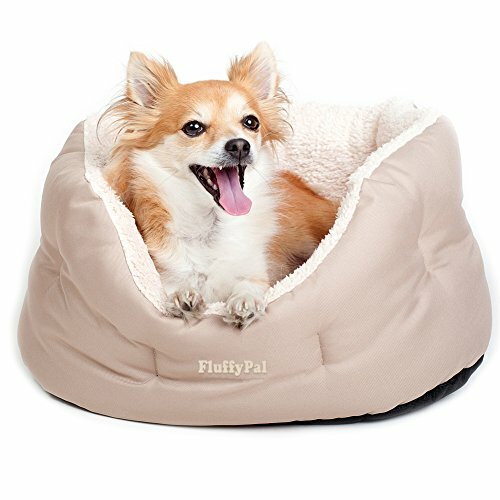 4-IN-1 PET BED – Include 1*pet bed, 1*blanket, 1*pillow, 1*summer sleeping mat.Perfect combination of comfort and superior durability keeps your pet warm and cozy all year round. 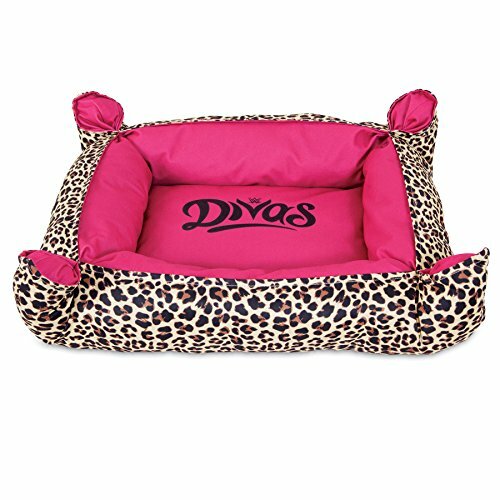 MEDIUM SIZE – Dimension: (27.3″*21.5″*5.9″), just-right sized bed provides your dog/cat a well sleep and vigor, suitable for 55.1lb pet or under. SUPERIOR MATERIAL – Made from the highest quality corduroy & sponge stuffer, ensuring a long-lasting shape and creating a more comfortable home just like sleeping in Mama’s tender arms. If you are the owner of a dog, you are surely a lucky one! From little to big ones, dogs are very active, dynamic and challenging pets. They wake you up early every morning for a walk and they also ask you with pleading eyes to walk them at the evening. They are always there for you, ready to play, to love you, to support you and even to do tricks for you. Extremely smart animals, amazingly adorable, fluffy, warm, they surely deserve a very comfortable, warm and welcoming place to help them relax and have a good sleep after the long day which they have spent so much energy in, right? But when you wish to offer your dog all that comfort he deserves, you realize that you don't actually have so much space in your house for his blanket, his pillow, his toys and many more. And you also need some free space for your dog to move, don't you? Our website is ready to help you with this! Due to our care for you and our love for dogs, we wish to make your relationship as nice as possible. This is why we have selected the best dog beds to please you both! You can choose from them the best for your dog and offer him a much deserved present - because our dog beds will be perfect for your dog due to the fluffy blanket that covers them and makes them so comfortable, roomy and welcoming, ranging from modern sofa-like dog beds to premium orthopedic beds or simple, classic dog beds; and will also please you by saving your space problem thanks to their compact form, in various L or square shapes, colors and designs, perfect to be stored in the corner of your room and fit any room personality, theme or design. We know that dogs are always people's best friends. Now it's time for you to become your dog's best friend and buy him his dream bed!